Zoho Meeting is a popular communications software application that lets you conduct online meetings more efficiently and cut travel costs. It is designed for companies with multiple teams in different places so they can collaborate in real time and closely together. Its integrated audio conferencing allows you to share your desktop and conduct in-person meeting with customers. Demonstrate your software product across the world without leaving your office. You can also transfer control to customers during product presentations. Other key features include: logging in into Zoho Meeting straight from your desktop; embedding Zoho Meeting in your website to reach a wider audience; and rebranding it with your own color scheme and logo. Zoho Meeting works with with Windows, Mac, and Linux OS, even in simultaneous access. Likewise, you can use it via IE, Firefox, Safari, Google Chrome, and other popular browsers. It's important to note that virtually no service in the Communications Software category is an ideal solution that can fulfill all the needs of all company types, sizes and industries. It may be a good idea to read a few Zoho Meeting reviews first as specific services may perform well only in a really narrow set of applications or be designed with a really specific type of industry in mind. Others might function with a goal of being easy and intuitive and consequently lack complex functionalities needed by more experienced users. There are also services that support a large group of users and provide a powerful feature set, however this in most cases comes at a higher price of such a solution. Ensure you're aware of your needs so that you purchase a service that provides specifically the features you look for. How Much Does Zoho Meeting Cost? 5 Participants with limited features and no downloads in modern browsers. We realize that when you make a decision to buy Communications Software it’s important not only to see how experts evaluate it in their reviews, but also to find out if the real people and companies that buy it are actually satisfied with the product. That’s why we’ve created our behavior-based Customer Satisfaction Algorithm™ that gathers customer reviews, comments and Zoho Meeting reviews across a wide range of social media sites. The data is then presented in an easy to digest form showing how many people had positive and negative experience with Zoho Meeting. With that information at hand you should be equipped to make an informed buying decision that you won’t regret. A great service for having meetings. A robust solution for doing online conferences. Highly recommended for online meetings! Web conferencing has never been this problem-free! What are Zoho Meeting pricing details? What integrations are available for Zoho Meeting? Pros: I discovered Zoho Meeting recently. Everything about it is great. Very transparent. Easy to implement. Cons: At the moment? Nothing really. Pros: Zoho gives you that much needed functionality that you'd expect from a conferencing platform. No bells and whistles to get your attention. No frills either! It's not as popular as other suites but it's very forgiving and won't burden you with network issues or firewall hoops. Cons: Zoho isn't widely known. So expect less support when dealing things in the corporate world. Desktop sharing functions (like it should) although it acts up every now and then. This can be a product issue especially when utilizing for remote support. I discovered Zoho Meeting recently. Everything about it is great. Very transparent. Easy to implement. It's smooth to do web conferences --- very much like that of a face to face meeting.. Only virtual! Zoho Meeting happens to be a lighweight tool. Screen sharing is great. HD quality when it comes to video conferencing. Audio calls are crystal clear. 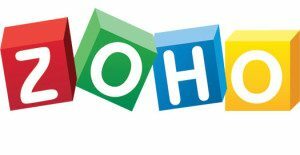 If you need more information about Zoho Meeting or you simply have a question let us know what you need and we’ll forward your request directly to the vendor.